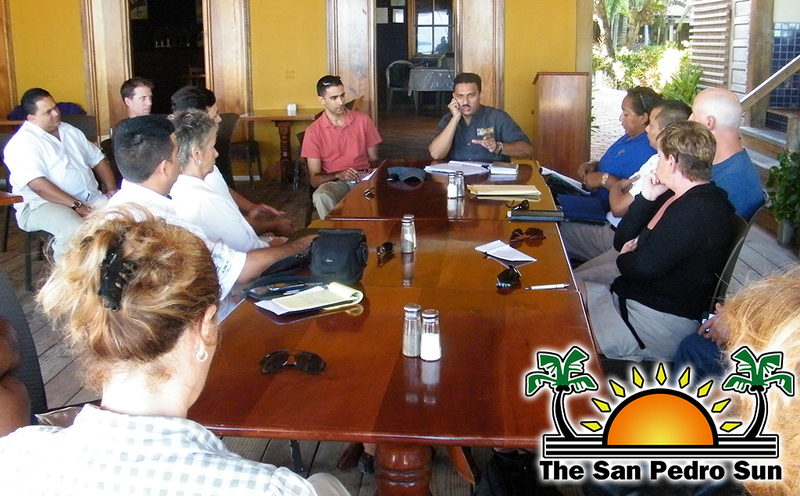 The San Pedro Chapter of the Belize Tourism Industry Association (BTIA) on Wednesday January 30th met to elect a new Board of Directors. 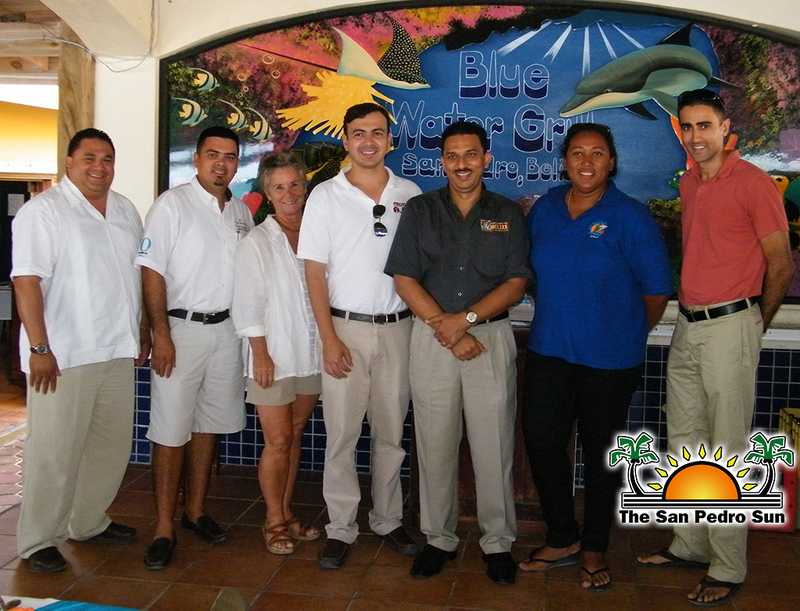 The election was conducted during a meeting at the Blue Water Grill and had the presence of the newly appointed national President Herbert Haylock and BTIA Executive Director Efren Perez. The meeting also served to bring its membership up to date with the fundraising efforts of the local chapter as it related to the Dr. Otto Rodriguez San Pedro Poly-Clinic II. The local chapter was briefed on the work that BTIA has been doing in other parts of the country. With the primary objective being the selection of a new board, an election was held amongst the members that showed up to the meeting. 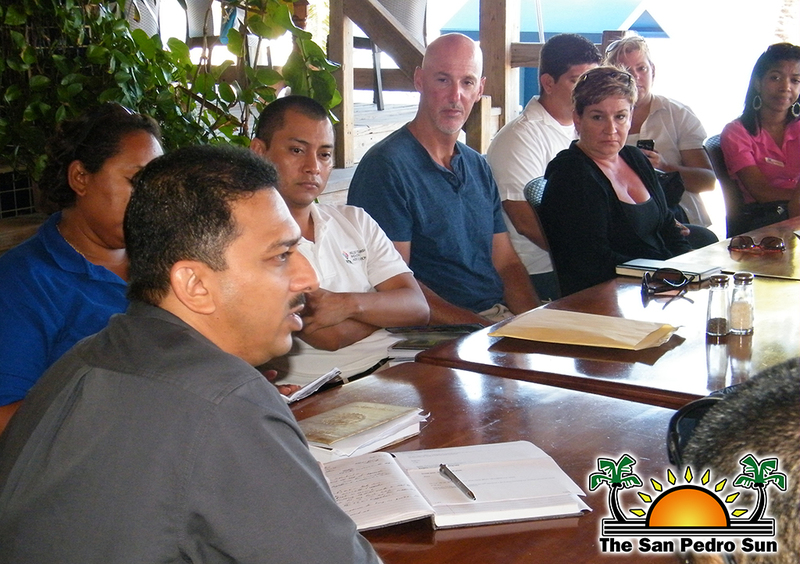 Re-elected as Chairman was Mukul Kanabar of The Phoenix Resort, and Vice Chairman is Gary Greif of Tropic Air. Also elected are Treasurer: Javier Williams of Victoria House, Secretary: Enes Ramirez of Belize Diving Adventures, Member-at-Large: Ovel Leonardo of Las Terrazas, and Julie Babcock remains as past Chair. Haylock, who was on his first official visit to San Pedro in his capacity as President of BTIA, explained that BTIA would want to work with the local chapter to build its membership. He said that during the meeting several issues were discussed as it relates to BTIA from a national and destination perspective. “We are trying to ensure that we (BTIA Representatives) have a good understanding as to what the local issues are. There are a lot of national issues that transcend San Pedro as a destination. We talk about crime, for instance. We look at the larger issues as it relates to some of the social complaints such as policing efforts. When we look at issues such as transportation and taxation; those are all issues that are at national level. There are some specific issues that are related to this destination and one of the key things raised at this meeting - not necessarily for the first time but has been a continuous effort that has been pushed by the chapter, is the issue of the PolyClinic. There have been great strides made over the last year or year and a half in regards to opening hours and staffing...certainly there is a momentum in terms of going forward and trying to ensure that perhaps we can reach a point in time when there is a 24-hours facility that is being operational and can service the need of not only the locals but visitors as well,” highlighted Haylock in speaking to The San Pedro Sun. According to Haylock, such issue has been tabled nationally on various forums. He said that for the issue of the clinic to materialize, it will need the serious input from all sectors in government including the Ministry of Tourism and the Ministry of Health who “need to be critically involved” and work along with the BTIA to accomplish the objective. In his remarks, Kanabar reported that the local chapter of BTIA has raised some $27,000 for the PolyClinic and the funds will go towards the construction of the x-ray room and the installation of the x-ray. “Those monies are being saved. Now that we have substantial funds, we are expanding our fundraising effort. This is a project I want to take on,” said Kanabar. He also reported that over the past few months, the Ministry of Health, working along with the local BTIA, has made positive steps in the past 12 months to improve and extend the opening hours of the clinic. Kanabar also spoke of his intention in reaching out to the business sector in an attempt to grow its membership. Perez for his part said that BTIA has been concentrating efforts in training, participating in trade shows and also hosting media visits to various destinations in Belize. This year BTIA will be conducting more training in the area of front desk, tour guiding and even customer service in various destination sites. “These monies raised from the training will go to the local chapter to help them strengthen the work they do at the destination,” said Perez. He also said that BTIA will be doing more destination visits to ensure that they keep in touch with its membership and to be more visual.